Microblading, feathering, brow tattooing – whatever you want to call it, the last few years have seen a huge surge in the professional long-lasting, brow-filling treatment. And while women are flocking to their nearest brow salons and handing over their hard-earned cash to transform their brows from thin and sparse to power brows Cara Delevingne would be jealous of, it must be known that it’s by no means a cure-all. 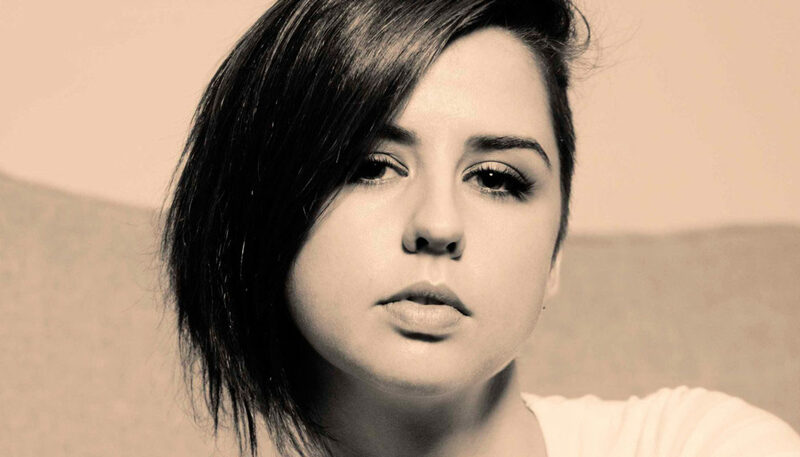 As the saying goes, there’s no such thing as a free lunch, so we spoke to brow artist Jazz Pampling to find out the key things you should know before you take the brow tattooing plunge. And once the work is done, it’s important to remember that the area treated is now essentially a wound. “I always recommend clients treat the area like a wound, which it is,” says Pampling. In addition to being aware that you’ll need to let your brows heal, Pampling also suggests talking to your brow artist before microblading to suss out how their previous clients have healed. As with any wound, there is a chance that once it heals, your skin can scar. 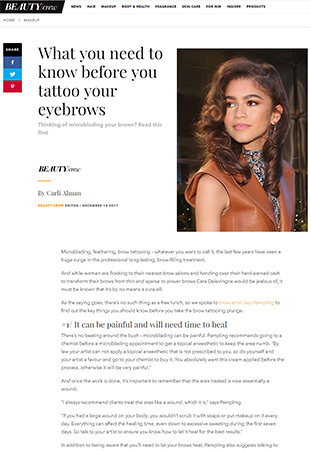 “Long-term brow tattooing can cause scarring to the skin. Your initial round of microblading will be fine, however two years later the touch-up work needs to be approached differently to ensure minimum impact on the skin,” says Pampling. “It’s really important you do your research when finding a brow tattoo artist,” she stresses. GOOD TO KNOW: If you are someone who tends to have keloid scarring, Pampling says it could be an issue when it comes to microblading. While brow tattooing can certainly go a long way to improving how thick or dense your brows look, unfortunately it’s not a permanent solution. The best way to know how your skin will react and what the colour of the tattoo will look like? Trialling the procedure before you go the whole hog. “I always do a consult with my clients before beginning a brow tattoo. Each consult is an hour and includes a small application of brow tattoo lines to your brow. Hidden amongst the hair you already have, this small application allows you to see how the brow tattoo will heal and if you like the results. You’ll also have a good understanding of the pain level, if any,” says Pampling. Looking for some brow filling alternatives to microblading? Here are a few other options for fuller, thicker brows.